We found darling little treasures rolling in the surf near Lighthouse Beach this week. In just an hour or so, our friends Gail and Alicia (Sanibel locals) had a nice walk along the water’s edge to find all these sweet minis including Alicia’s first perfect juvie red TRUE TULIP. It’s a beauty! Well, and the two HORSIES, OLIVES and that awesome SHARKS EYE. Clark found about the same mix as Alicia and Gail (minus the TRUE TULIP) but I love it because he has acquired a taste (not literally) for bivalves… EGG COCKLES, DUCK CLAMS, BUTTERCUPS and DOSINIAS. Did you see the BABY’S EAR as well? As we were shelling, it began to rain so we picked up the pace and headed for the beach access ramp… that’s when Clark found the BABY’S EAR. Right before he found it, he mentioned how unusual it was to not be finding BABY’S EARS lately. By the time he finished his sentience, he looked down and there it was… pretty as a picture. Ha! Because we spend so much time on the beach, we are constantly checking radar for storms and lightning. If we get caught in the rain, it’s because there are no signs of lightning strikes in the area or no sounds of thunder so its just a light misting of rain. As I always say… Mother Nature might punish you with a lightning bolt for shelling during a storm after her warning system has been sounded…. her cracks of thunder and her scary dark skies. She has given us time and time again HER rules and regs. We should respect them. Safety first! Love that double cut-rib ark!!! Super fresh! I think some people use glycerin to preserve the periostracum, if you want to do that, otherwise when it gets completely dry the periostracum will peel off in flakes. I am delighted to hear that Clark is getting into the bivalves! I happened across your blog on accident and it is a happy find! We are regular visitors to Sanibel and spend the majority of time shelling or pretending to be sand sculpture artists. We leave for our next trip at the beginning of October…your blog will be good shelling prep work! I found tons of good shells by the trees on this day. Wow! I met Alicia and Gail when we were all staying on West Gulf two years ago and they were working with Clark to find a house. Now they are locals! Lucky ducks!!! Good shelling and happiness to both of you. I have fond memories of our shelling time together. Beach friends are the best. 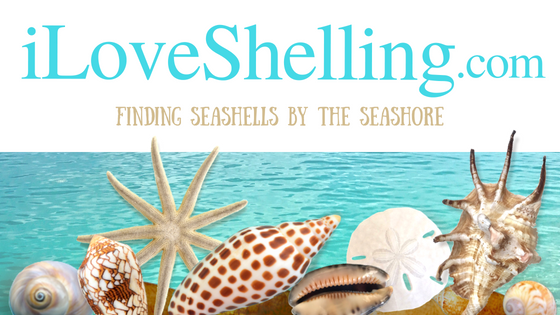 We are all shell geeks, even in NJ. I can only wish to be a local someday…counting the days til I see sweet Sanibel again! hahah yes we rule as “geeks on the beach”! I love to watch your cyber shelling and read all your I Love Shelling “things”. I live in San Diego and a total geek on the beach. San Diego has some great minis only on certain beaches. If you come to SD please let me know so I can show you West Coast shelling. I’m originally from the East but have adapted to this coast after almost 30 years. But will go to Sanibel to experience the “be all and end all of shelling” Hope I see you on the beach Love to shell in the rain What’s the difference?